The phenomenally popular computer game Minecraft which attracted more than two million gamers worldwide while still in its alpha state will go into beta on December 20. With that comes polish, some changes, a raised price and more. Minecraft is an attractive, albeit blocky-looking, game that forces you to fend for yourself on a randomly-generated island full of hostile enemies, providing you the tools to cope, tools with which you can create wondrous things. Its flexible content creation options have inspired countless gamers to turn the world of Minecraft into amazing landscapes, contraptions, homages to favorite games and even a primitive computer. Friends bugging you to try Minecraft? Just got it and have no idea what to do? Here. Watch this. Traditionally the transition of a video game from alpha to beta indicates that the game's developers are done adding features. In this case, Notch says that, with the beta, "[w]e'll also add some kind of non-intrusive narrative to the game to help drive the game experience early on, and to provide some kind of late game goal." It's not clear if those changes will appear on December 20 or be rolled out after then. The beta version of the game will cost more than the alpha, which has cost 9.95 Euros or $13.16 U.S. The beta version will run consumers 14.95 Euros or $19.77 U.S. Those who have the alpha will be able to upgrade to the beta (and presumably the future final release) for free. 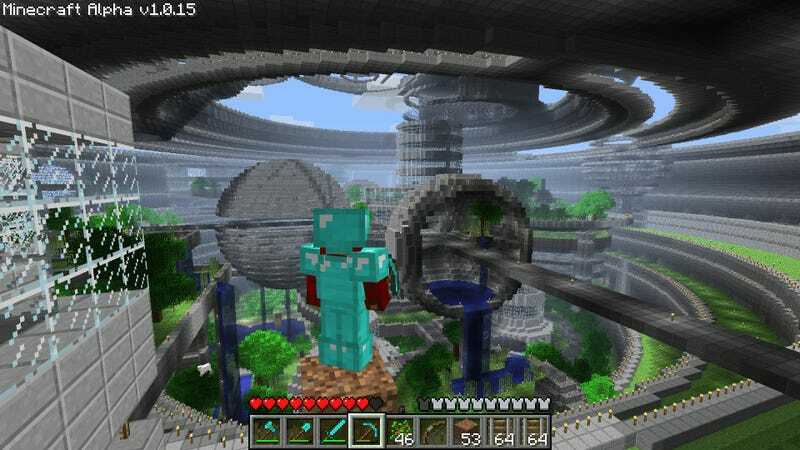 Anyone whose first Minecraft purchase is the beta, however, will only receive the beta patches for free and will have to buy Minecraft in full when it is finally launched at some future time. UPDATE: A Twitter message from Notch now suggests that beta purchasers won't ever have to pay for the full game. He wrote: "If you buy the game, regardless of when, you never have to pay again to get the full version."